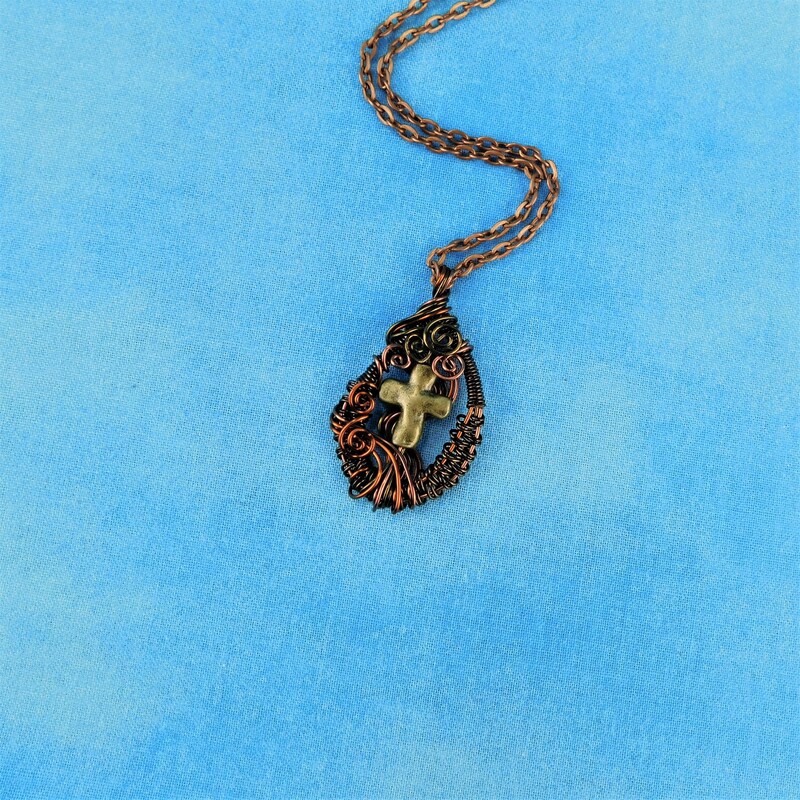 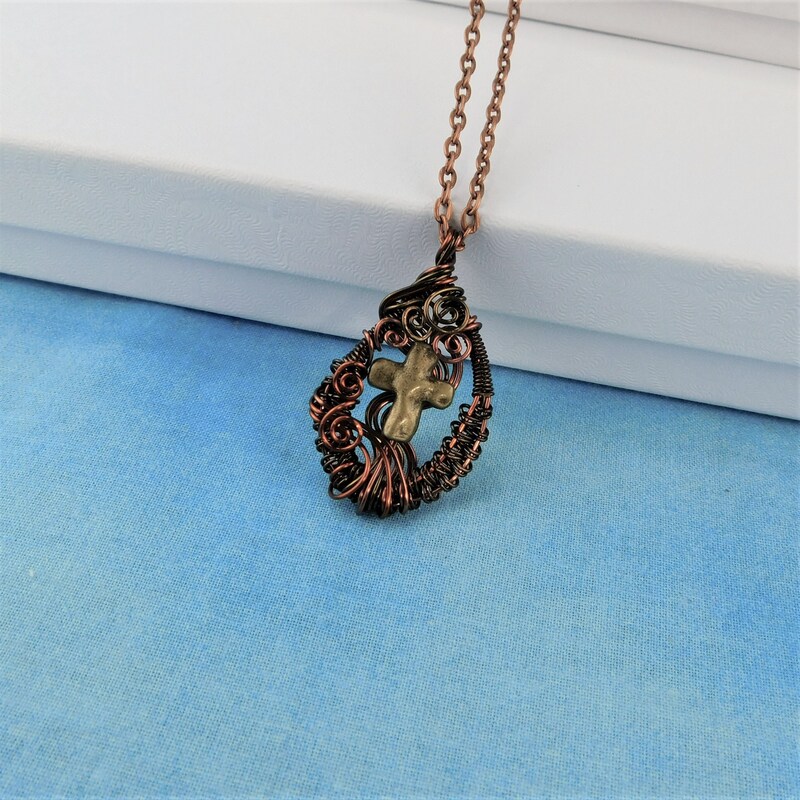 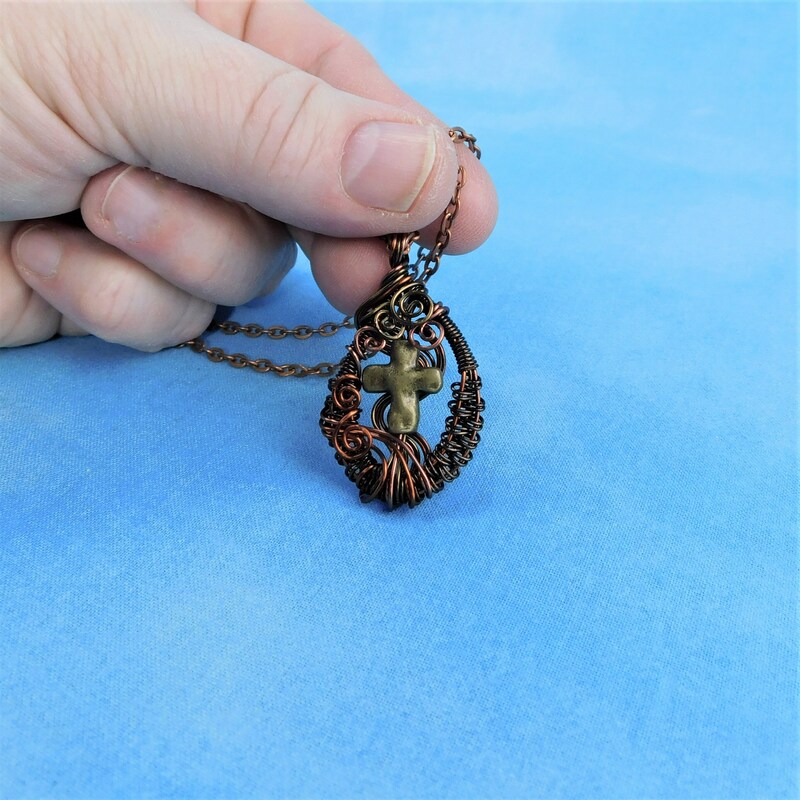 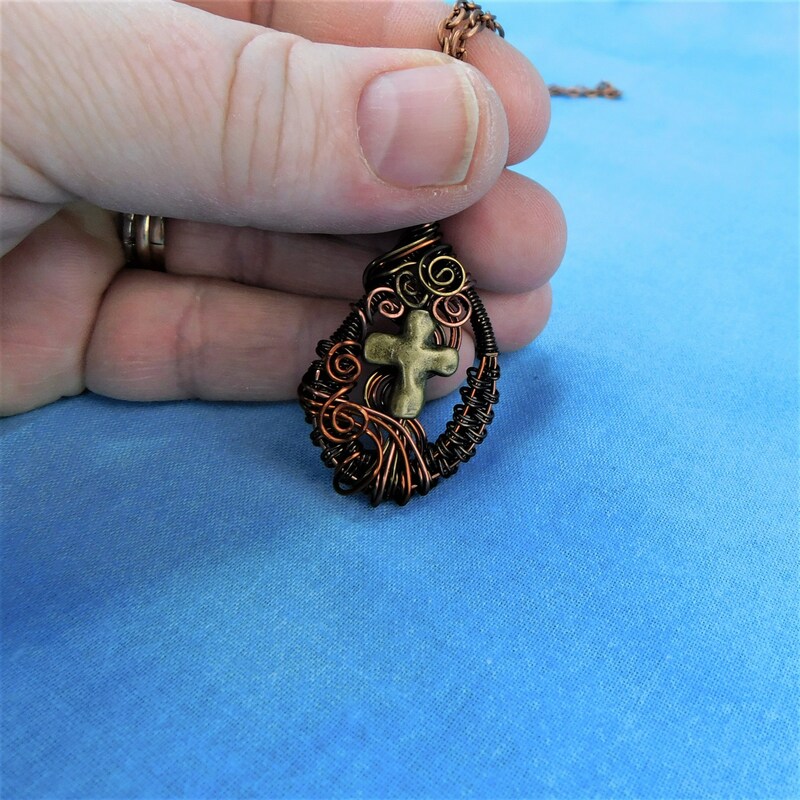 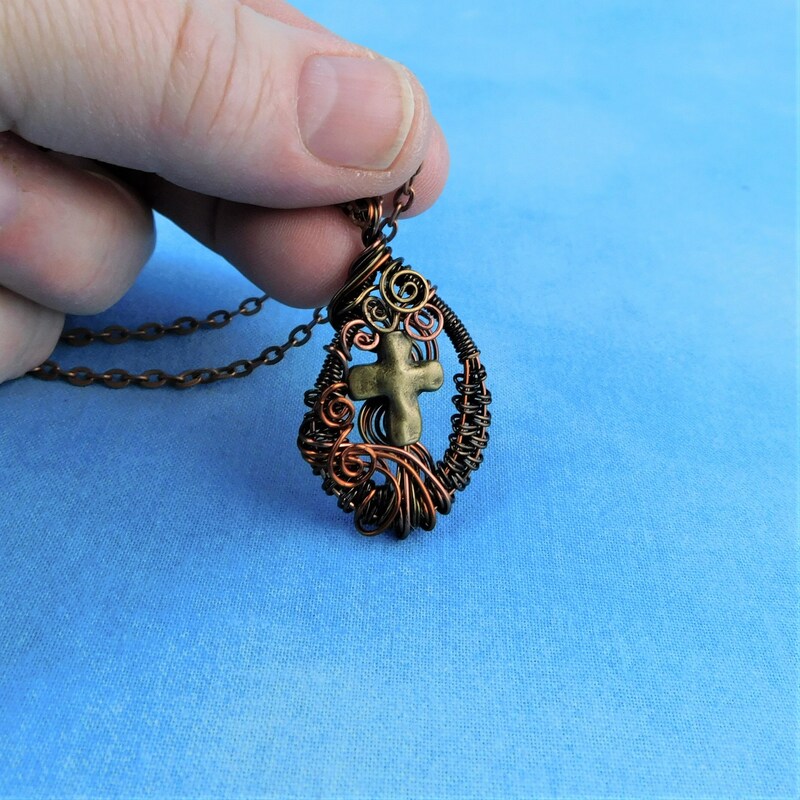 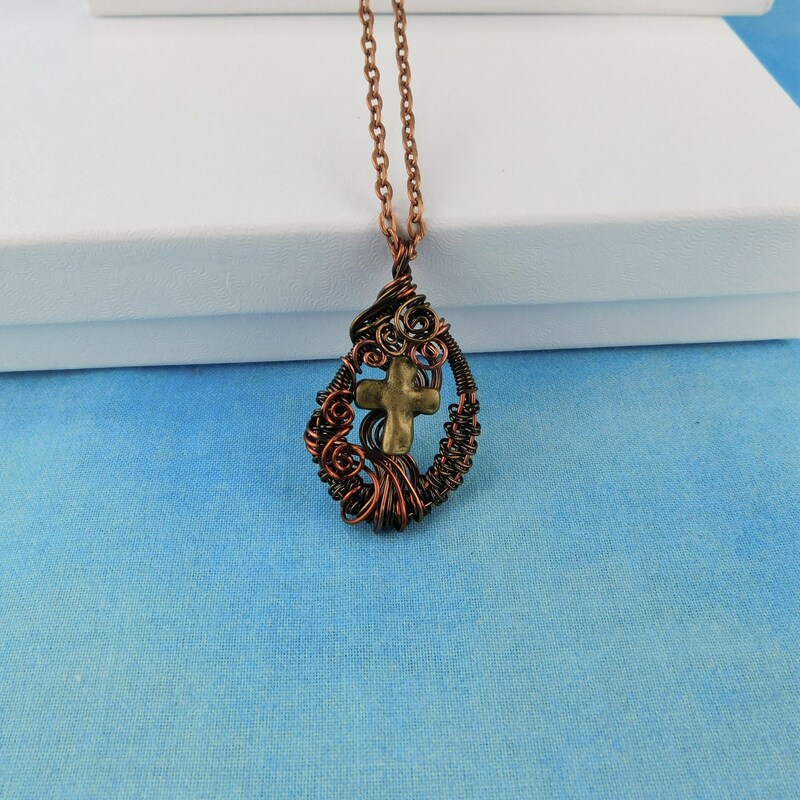 Hand woven copper wire frames a bronze cross. 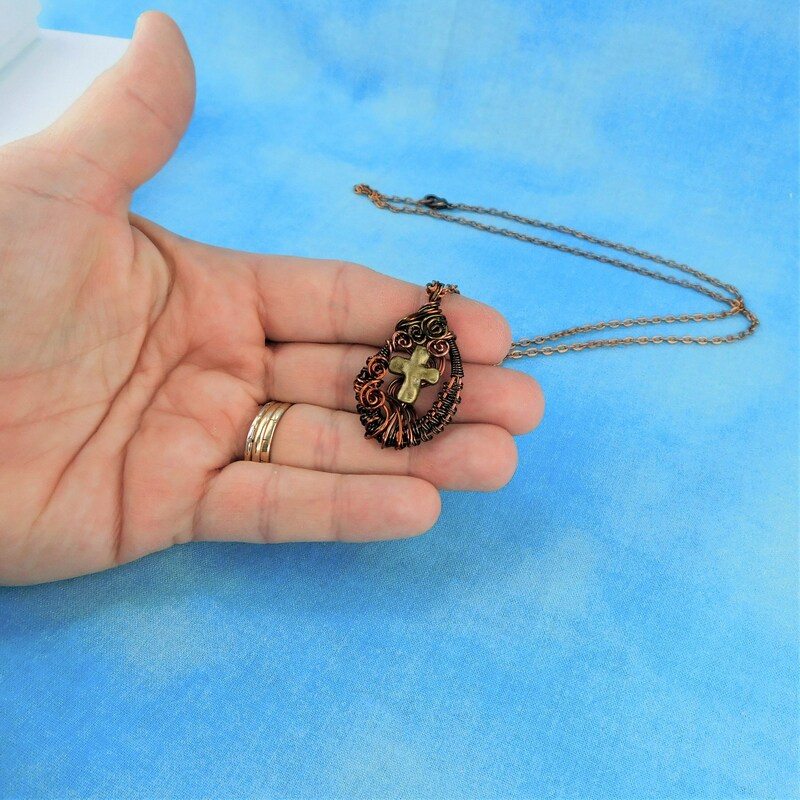 This artisan crafted symbol of faith is simple, but elegant. 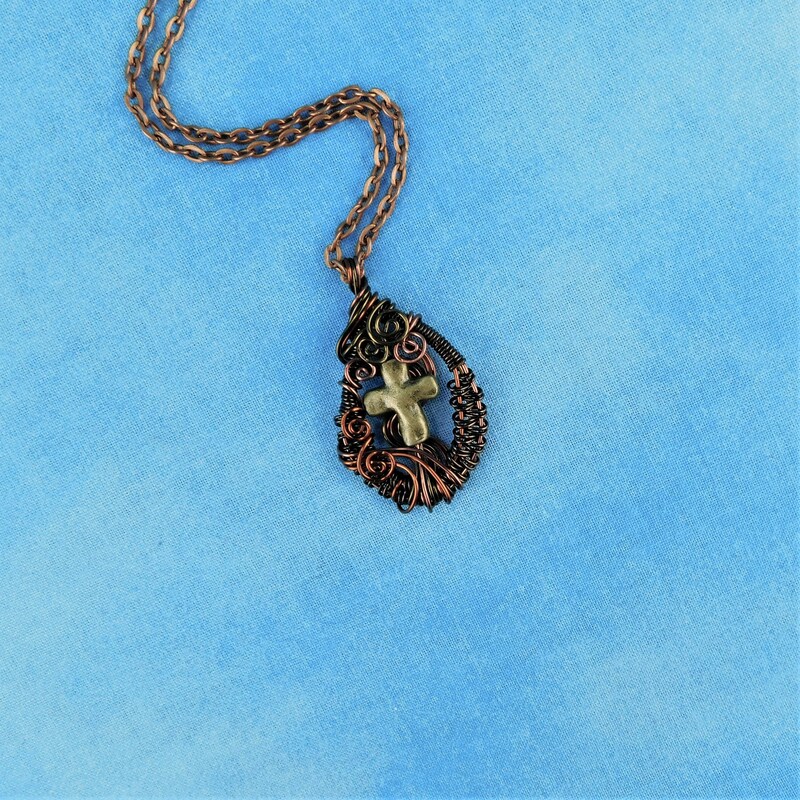 The designs is just understated enough to be appropriate with any attire. 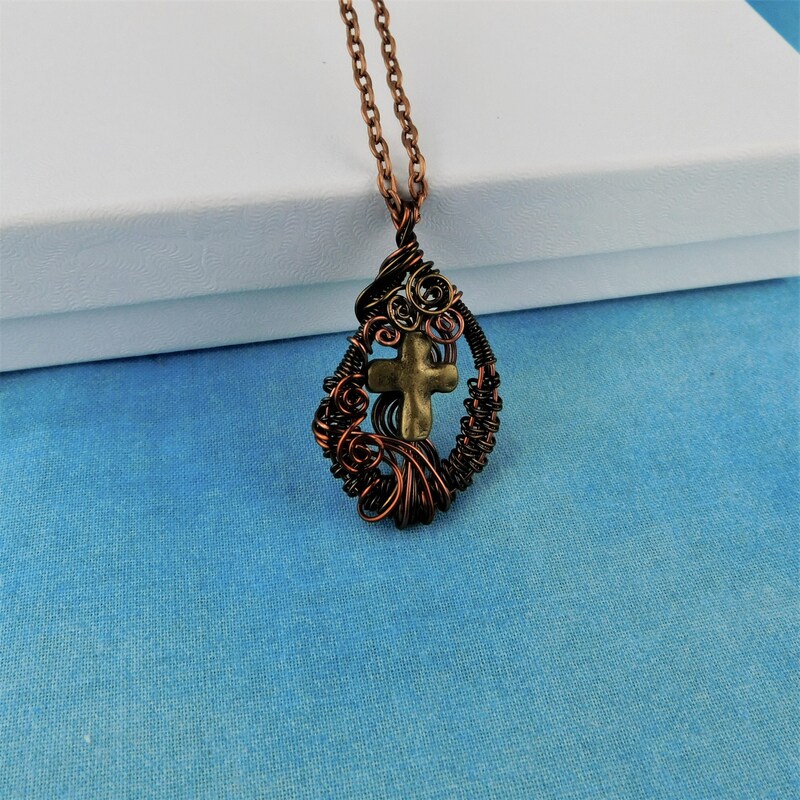 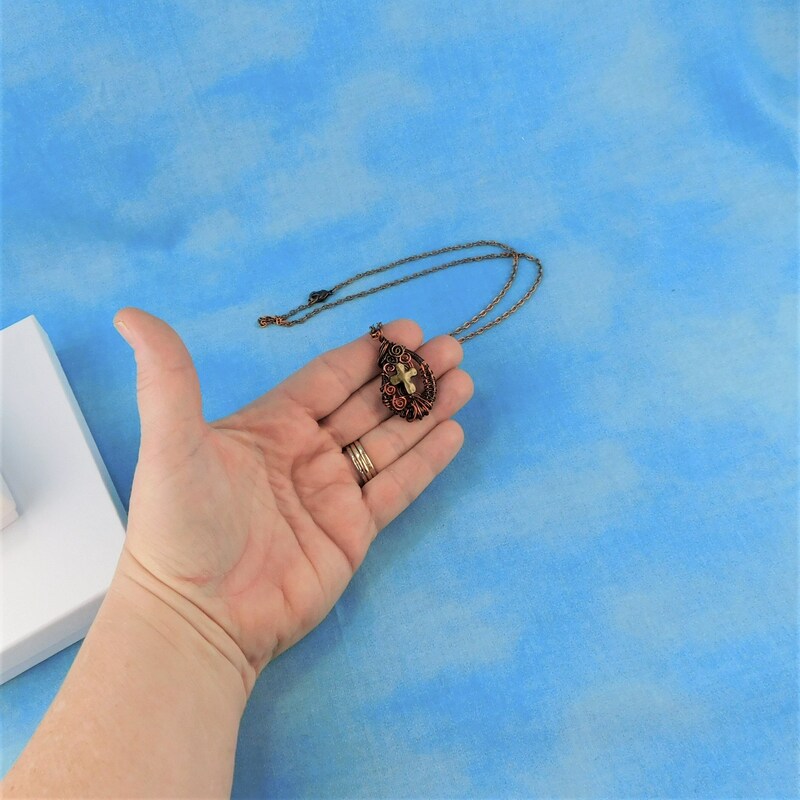 It would make a thoughtful gift for a confirmation, or as an expression of sympathy and support for a friend or loved one going through a difficult time.